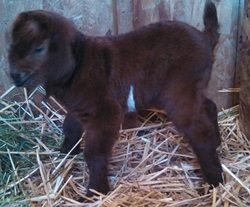 He is a premie and doing well, but his red sister didn't make it. 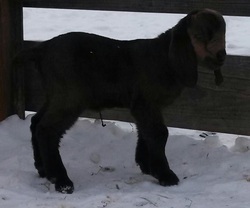 *Unfortunately we lost this buckling in -20 degree temps. 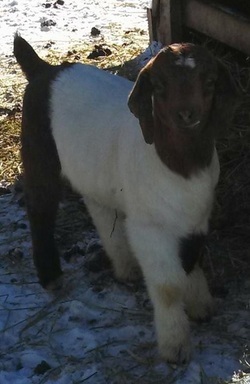 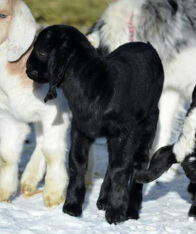 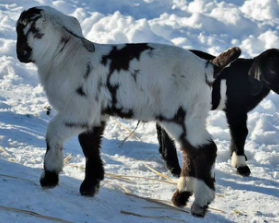 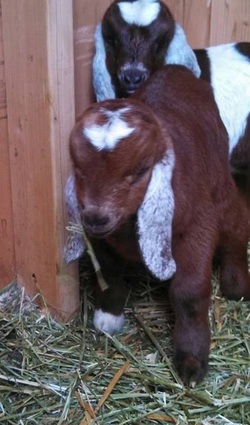 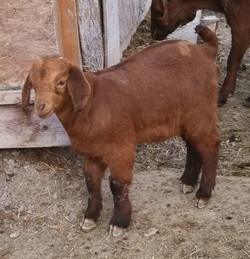 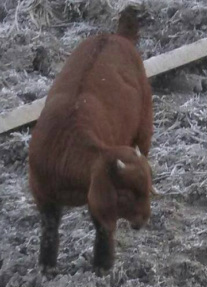 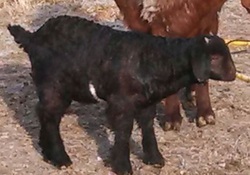 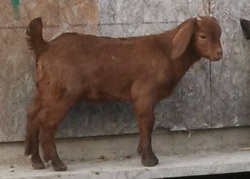 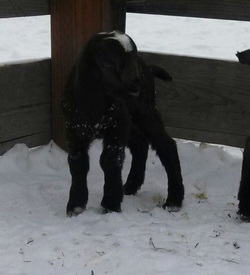 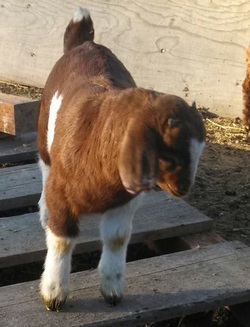 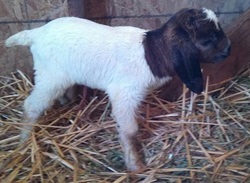 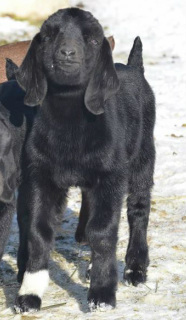 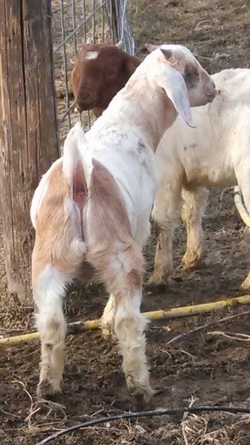 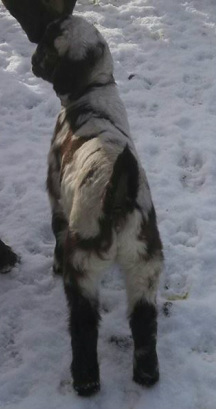 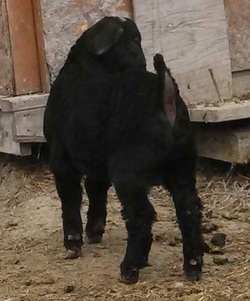 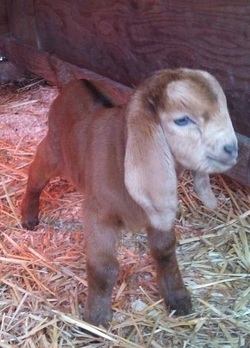 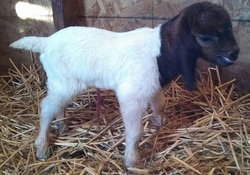 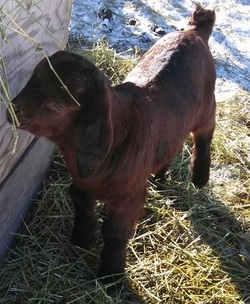 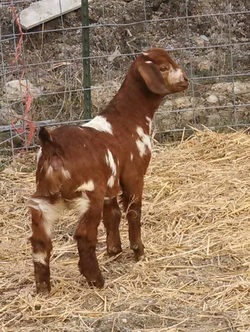 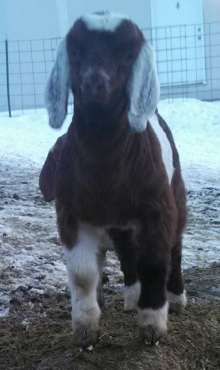 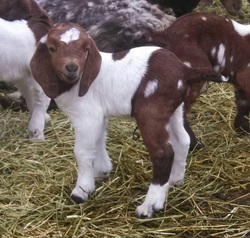 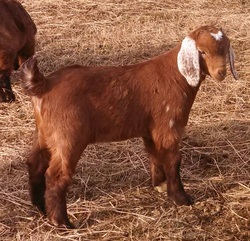 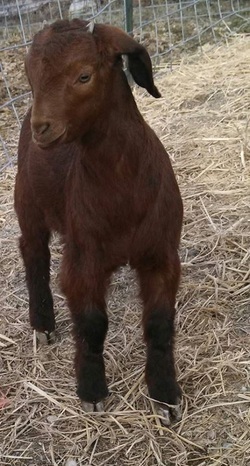 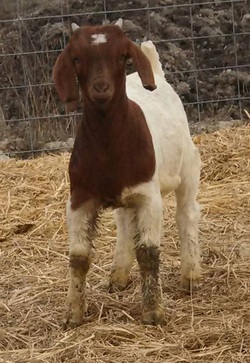 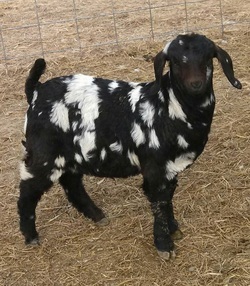 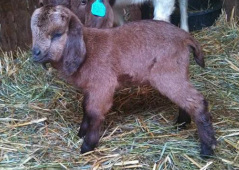 Traditional Doe 9lbs 2oz This doeling is 99% Boer but only registerable 50% as we never registered her dam.